Hello Beauties ! Here I am after a long break. 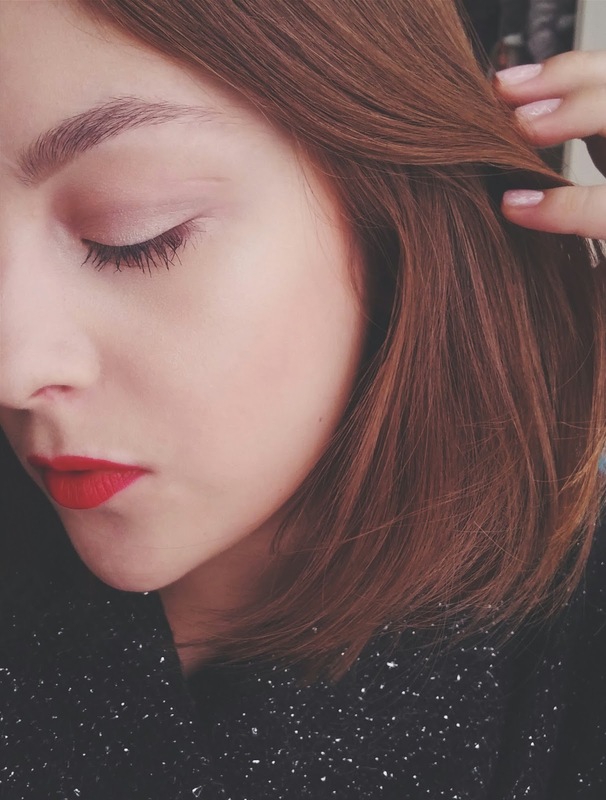 Today I am going to show you my "Bold Red Lips Makeup". I think the most important thing about this makeup is flawless base. I mean using a very natural finish foundation and concealing the imperfections with a concealer. Not covering everything with a thick layer of foundation. It will look cakey and fake. 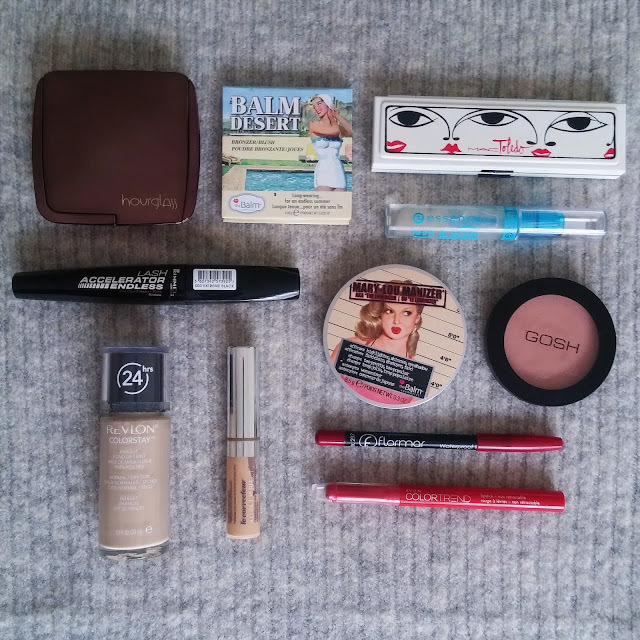 And second thing is very simple eye makeup. 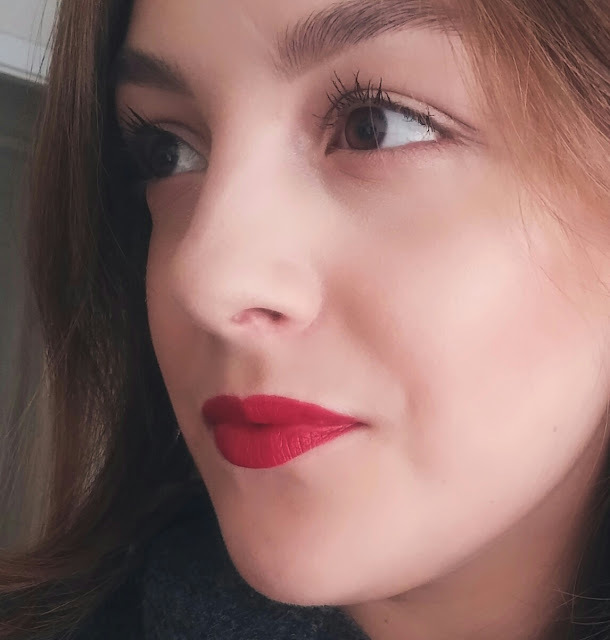 Even just an eyeliner works with that makeup but I really like using simple, natural eyeshadows with red lip and I am going to show you that kind of makeup today. 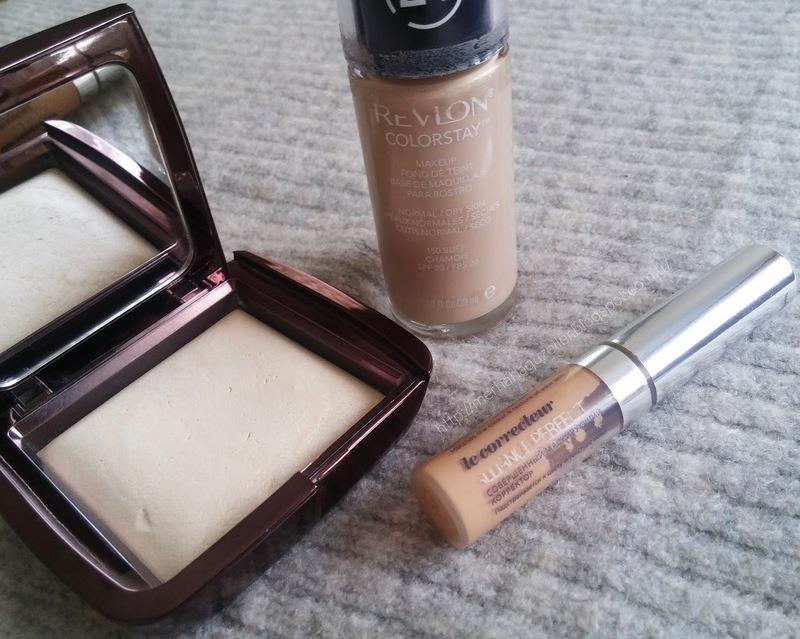 For the base I used Revlon Colorstay foundation and Loreal True Match Concealer 02 and applied with damp Beautyblender. 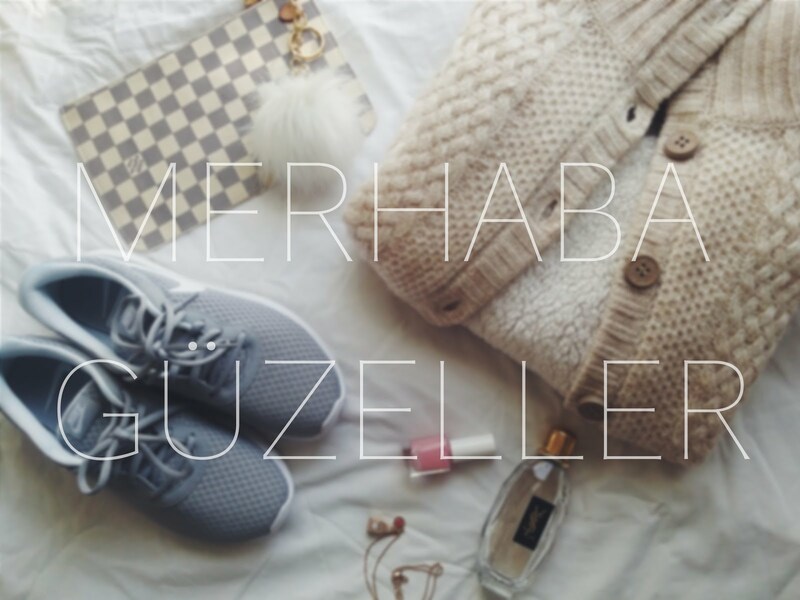 This foundation has a medium coverage and I getting best result with Beautyblender. And really love this concealer because its hard to find yellow undertone and high coverage concealer at drugstore but if you have really bad dark circles you may not be satisfied with this product. You can use a corrector under the concealer. 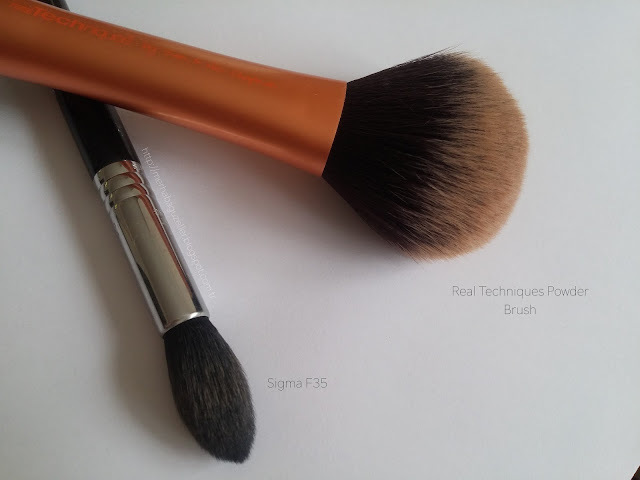 Finally I set my under eye(SigmaF35) and whole face(RT Powder brush) with Hourglass Ambient Lighting Powder in the shade Diffused Light. 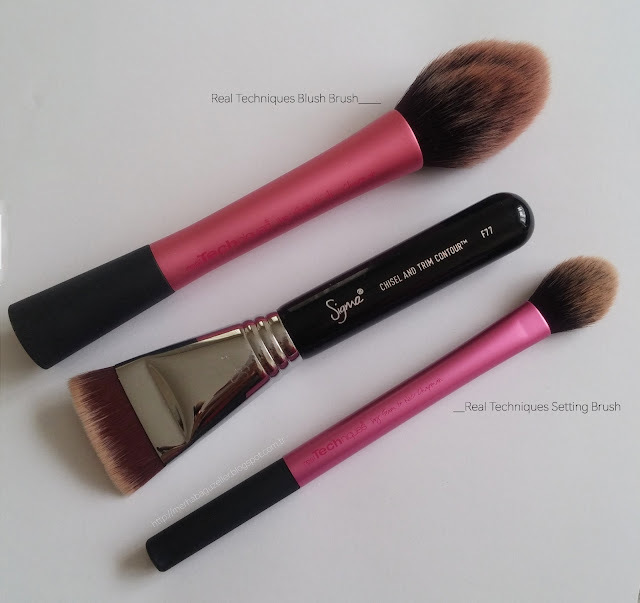 I used The Balm - Balm Desert bronzer and Sigma F77 Chisel And Trim Contour brush to sculpting my face and I picked the Gosh-Rose Whisper as blush and applied with Real Techniques Blush Brush. 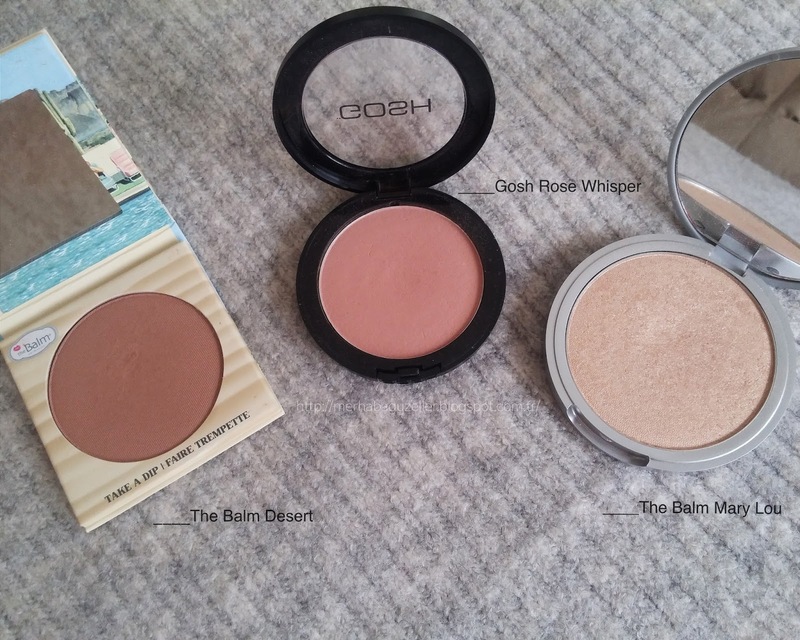 The best thing about makeup is definitely Highlighter! I used The Balm-Mary Lou Manizer with Real Techniques Setting Brush on my cheekbone, bridge of my nose. For the eyes I used the same bronzer as transition color and applied slightly to whole eyelid with Sigma E40 brush. 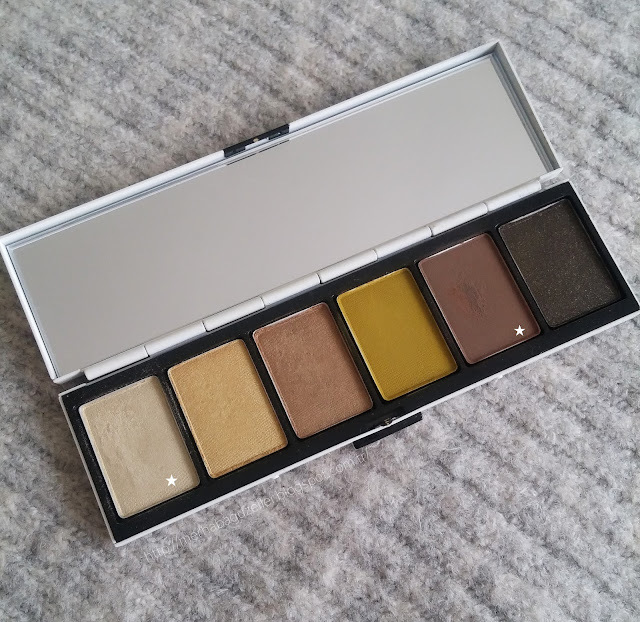 In the crease I used the brown shade from MAC Isabel and Ruben Toledo Bellgreens Eyeshadow Palette. 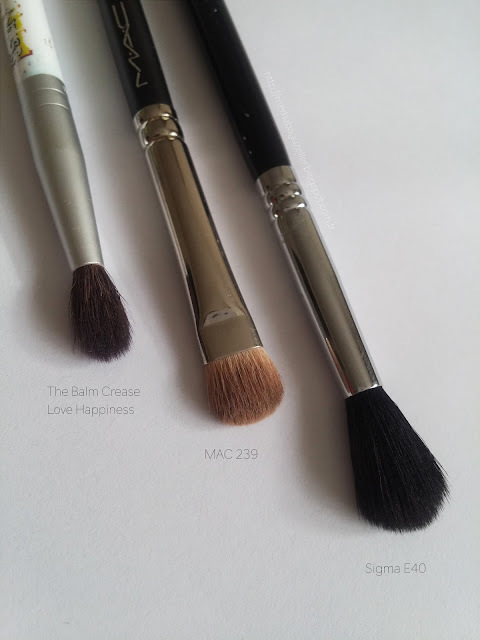 I applied this eyeshadow like a fine line to the crease with MAC 239 then I blended out with The Balm Crease Love Happiness brush. This technique gives me more definition on the eyes. And I applied the lightest shade from the palette to the lid, inner corner of my eyes. 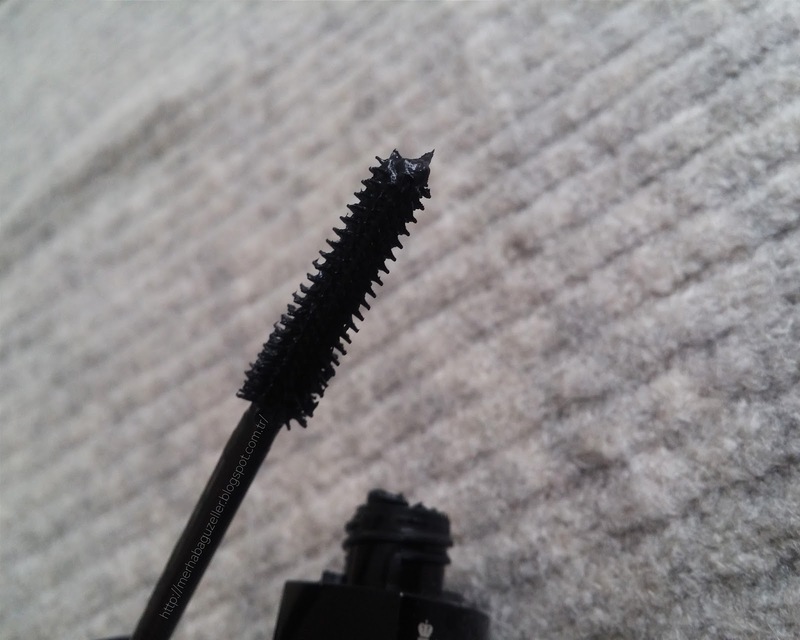 Finally, one coat of mascara(Rimmel London Lash Accelerator Endless) and I am done with eyes. 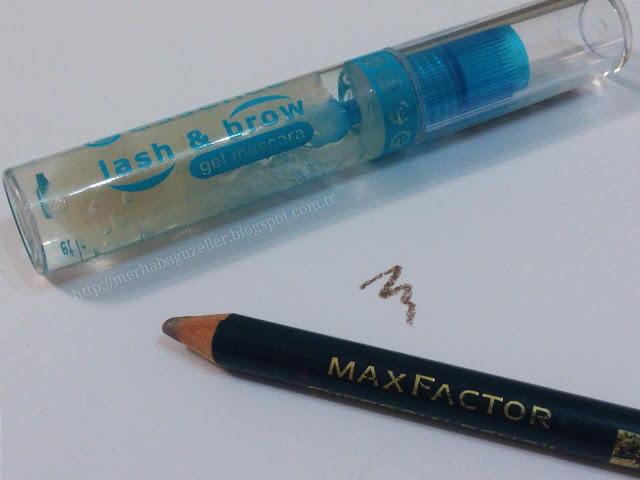 I just filled the outer edges of my brows with Max Factor eyebrow pencil and set with Essence Gel Mascara. 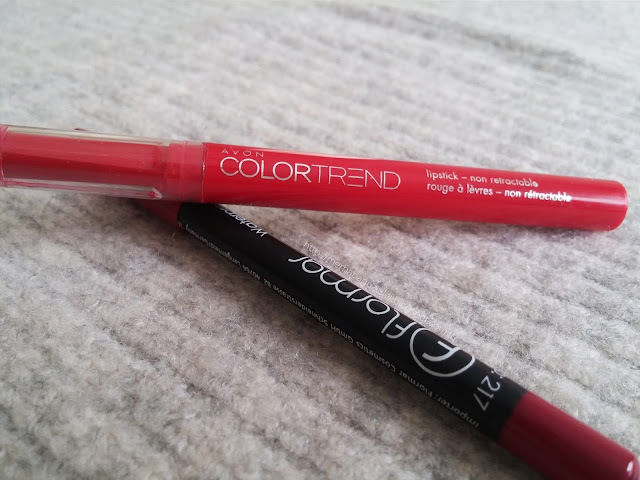 I filled in my lips with Flormar 217 Lip Pencil but you can also use Essence-Femme Fatale lip pencil such a gorgeous red color and dupe to MAC Ruby Woo. 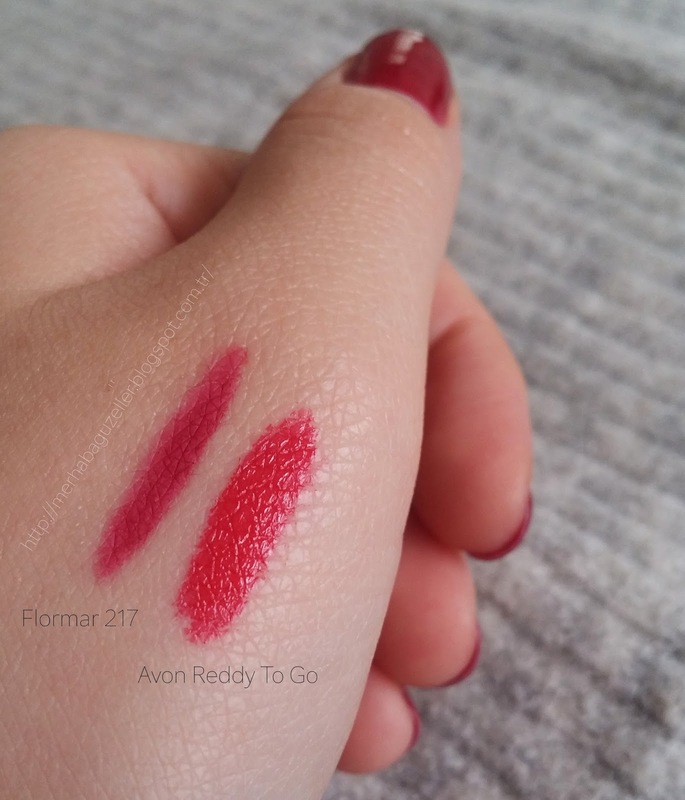 As lipstick I used Avon Color Trend Lipstick in the shade Reddy to go. And this is the final look of my makeup. I hope you like it and what is your favorite red lipstick ? Let me know in the comments down below.